Nottingham Contemporary is presenting a major new exhibition, The Place Is Here, in collaboration with the Van Abbemuseum in Eindhoven. The exhibition traces some of the urgent and wide-ranging conversations taking place between black artists, writers and thinkers in Britain in the 1980s. Bringing together around 100 works by over 30 artists and collectives, the exhibition spans painting, sculpture, installation, photography, video and archival displays, exploring a pivotal decade for British culture and politics. Addressing identity and representation, racism and colonial legacies via myriad forms and positions, these debates took place at a moment when art, its histories and institutions were increasingly critiqued. Today, these discussions feel more timely than ever. Throughout the exhibition, montage emerges as a key device through which artists were re-assembling histories and identities along new lines. This is visible across a range of works, through what art historian Kobena Mercer has described as "formal and aesthetic strategies of hybridity." The Place Is Here is itself conceived of as a kind of montage: different positions, voices, media and archives are assembled to present a portrait of a period that is not tightly defined, finalised or pinned down. Artists include: John Akomfrah, Rasheed Araeen, Martina Attille, David A. Bailey, Sutapa Biswas, Zarina Bhimji, Black Audio Film Collective, Sonia Boyce, Vanley Burke, Ceddo, Eddie Chambers, Rotimi Fani-Kayode, Joy Gregory, Sunil Gupta, Mona Hatoum, Lubaina Himid, Gavin Jantjes, Claudette Johnson, Isaac Julien, Chila Kumari Burman, Dave Lewis, Mowbray Odonkor, Maybelle Peters, Pratibha Parmar, Keith Piper, Ingrid Pollard, Donald Rodney, Veronica Ryan, Marlene Smith, Maud Sulter. The Place Is Here is curated by Nick Aikens and Sam Thorne. The exhibition is an expanded version of a presentation Aikens curated at the Van Abbemuseum, Eindhoven, in 2016, titled Thinking Back: A Montage of Black Art in Britain. Archival displays are curated in collaboration with June Givanni, Lubaina Himid, Keith Piper, Vanley Burke and Marlene Smith. A series of screenings and talks, programmed by film curator June Givanni will run alongside the exhibition. 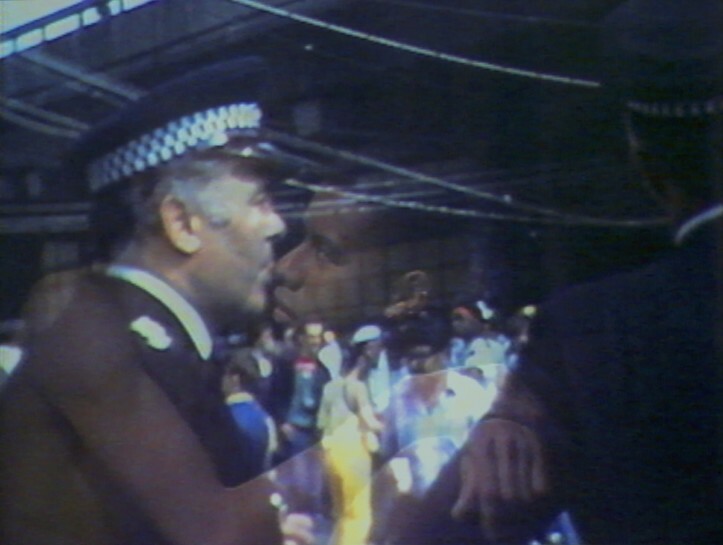 On 17–18 March, a working convention will be held at Nottingham Contemporary, in collaboration with Spike Island in Bristol, Modern Art Oxford and New Art Exchange in Nottingham, which will in part reflect on the relevance of the 1984 Radical Black Art Working Convention in Nottingham for today.